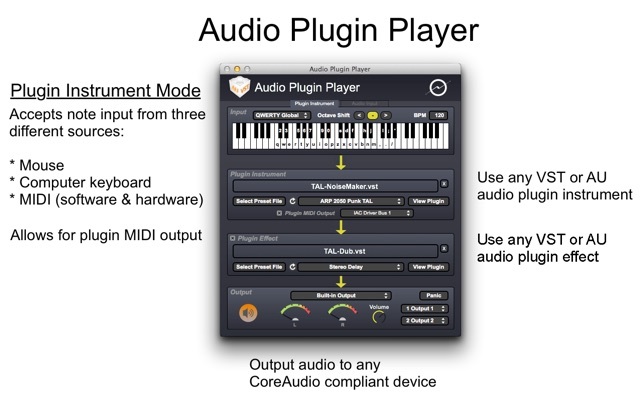 Audio Plugin Player is a lightweight VST and AU instrument plugin host, that allows you to play these instruments using either your mouse, computer keyboard, or MIDI device (both hardware and software MIDI devices supported). It has a simple, one-screen interface, that will let you start making music with your favorite audio instrument plugins in seconds – just drop your plugin onto the application window, make your input and output choices, and you're ready! 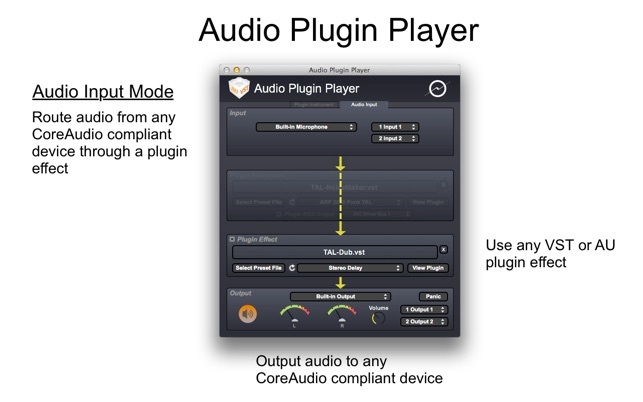 Audio Plugin Player allows you to route your plugin instrument through a plugin effect (either VST or AU), and also lets you route external audio through a plugin effect too. It works well when being sent to the default built-in output, but when I switch it's output pull-down to my Behringer mixer, which is using the basic USB Audio CODEC, it crashes. It locks up and the only way to get it running again is reloading it. Which makes it a lot less useful to me. I went with a NOT freeware app because I assumed it would be better made. If you plan to use this with any output device other than the built-in output, I can't recommend it. Could get nothing to work. Would not load .vst3 files. Appears not to provide the proper environment for licensed VSTs thorough iLok, Autura Software Center, or eLicense. Detected the problem sometimes, but on other occasions, simply became catatonic. To get anywhere, had to manually start the appropriate license manager. 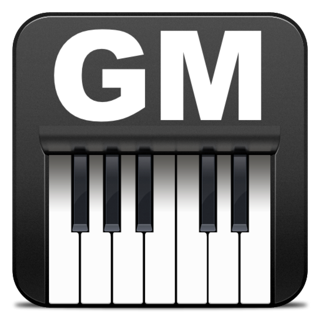 This app is a great way to get a single midi keyboard playing a single instrument from a single pre -determined midi channel. Depending on the the instrument plug-in, it can also often allow quick patch changes on that instrument plug-in with the track pad on the Macbook Pro. It is now my go to app for several older plug-ins that are not showing up in Logic Pro X! Not to mention that it also allows access to VST plug-in instruments that Logic ProX, GarageBand 10 & MainStage don’t. If you have upgraded to any of the new versions of Apple music software you will find Audio Plug-in player will run several of the Plug-ins that no longer show up in the new Apple music Apps. For live performance, it is another piece of the puzzle for a musician with multiple keyboards attempting to have them routed to several different instrument plug-is so he is able to play several different instruments at once or jump to a new keyboard and new sound . Are there problems, inconsistencies, crashes etc. ? Yes, but in my experience it is the older, unsupported, or crowd sourced plug-ins that are the culprits. I give it 5 stars because for $3 I got to keep several plug-ins I rely on running when I perform live.